Today fashion is considered to be one of the basic elements in life. Youth is always interested in getting knowhow about what is hot and what is not in fashion and fashion industry. There is an obsession in everyone’s mind, an obsession to look better and to look unique. They want others to appreciate their appearance. They want to make a style statement of their own! This is where the fashion designers make their money. People are crazy behind the fashion. Fashion designers try to take challenges and to fulfill the ever increasing requirements in fashion industry. Women specially are crazy for fashion. Let it be their wardrobe, or shoes or jewelry, they want it to look according to fashion and unique. They want a constant change in their fashion looks. Jewelry is something special for them. They want it to look beautiful and they want to portray some specialty in their jewelry. That is why jewelry designers are always busy to design something different. An idea which should hit the fashion world with a storm. An idea with ability to own the whole world. So they come up with unique and attractive designs to grasp more customers towards their outlets. Watching these pictures it seems like the ears are double pierced but that is not true. These earrings are designed in such a way to make an illusionary style statement. As we can see that the earrings are in different shapes like hearts, squares, circles, triangles and many more. 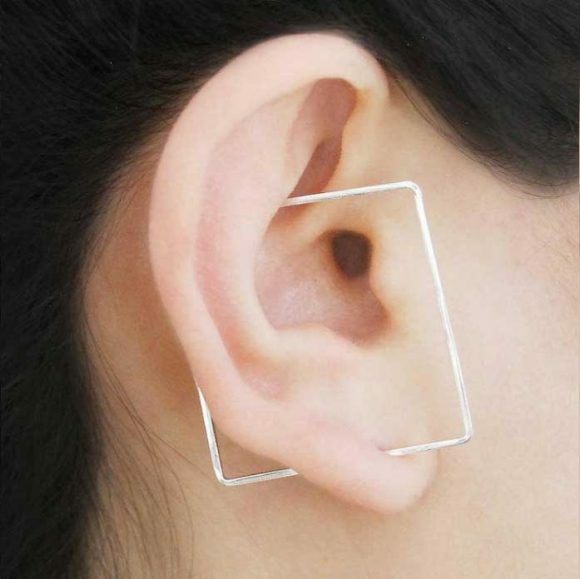 But actually these earrings are not of the shapes that seem to appear. Earrings appear to pierce through multiple parts of ear, but that is not true. These earrings are worn as normal drop earrings which are inserted in the lobe of ear. 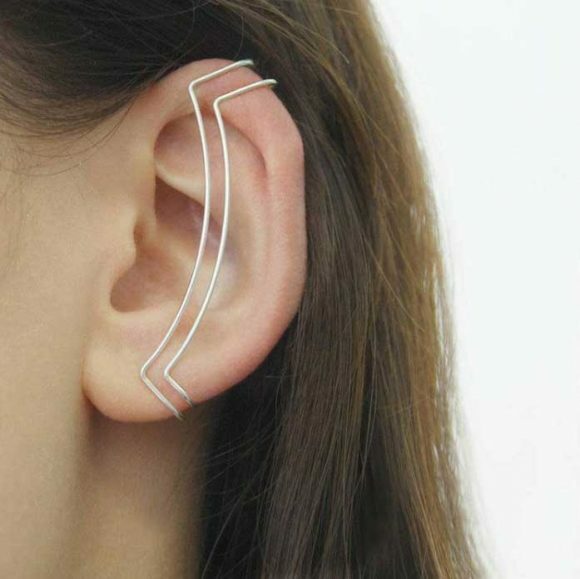 These earrings are then twisted upward to get the appropriate shape. By making these earrings oversized, the whole ear suddenly becomes a vessel for contemporary style. This has a statement-making effect. 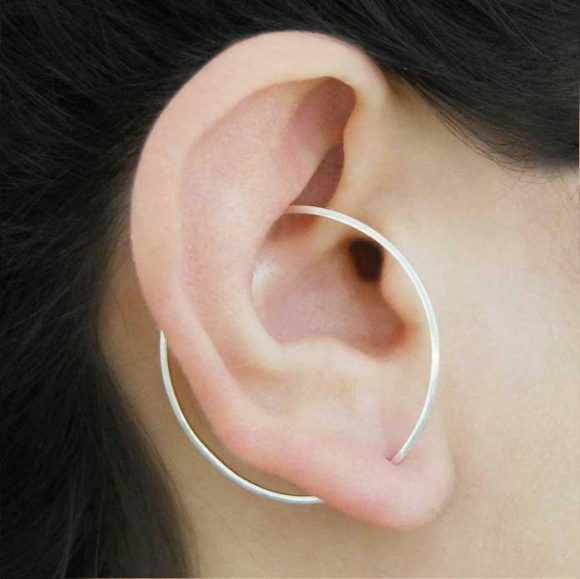 But thanks to the shape and elegantly crafted form of these earrings women can’t wear it daily. 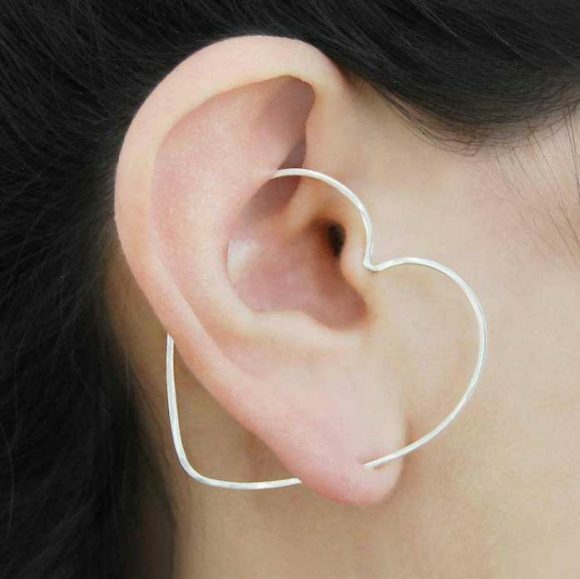 These earrings are not suitable for everyday wear. These earrings are currently available in Paris only. 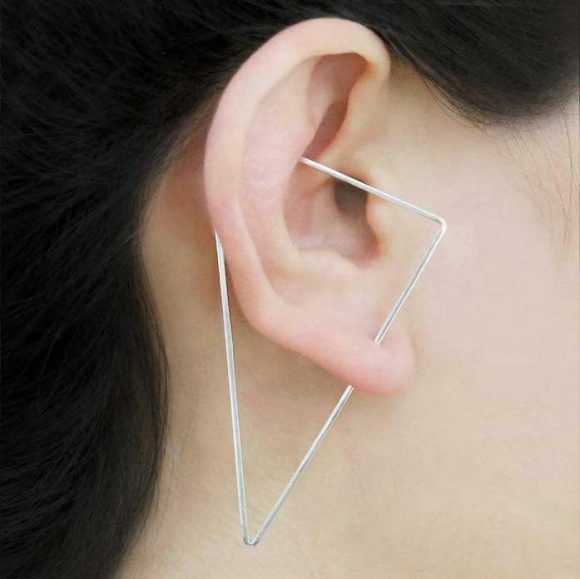 The designer recommended to wear just one earring for even unique and edgier look. So women what are you waiting for get these earrings and add some fun to your looks with these optical illusion earrings.